I’m just writing to say you’ve gone and done it again. This single from The Memories is damn impressive. I can't just chalk this up to luck anymore, now I realize you know exactly what you’re doing. When I win the lottery (this is a legal and binding statement I am making of my own free will) Randy you tell me what you need. What dollar amount you want to expand your operation with full lengths, box sets, subscription series, presses. I love everything you've put out and it’s no accident. I would hate to see finances hold you and your motherfucking records back in any way. 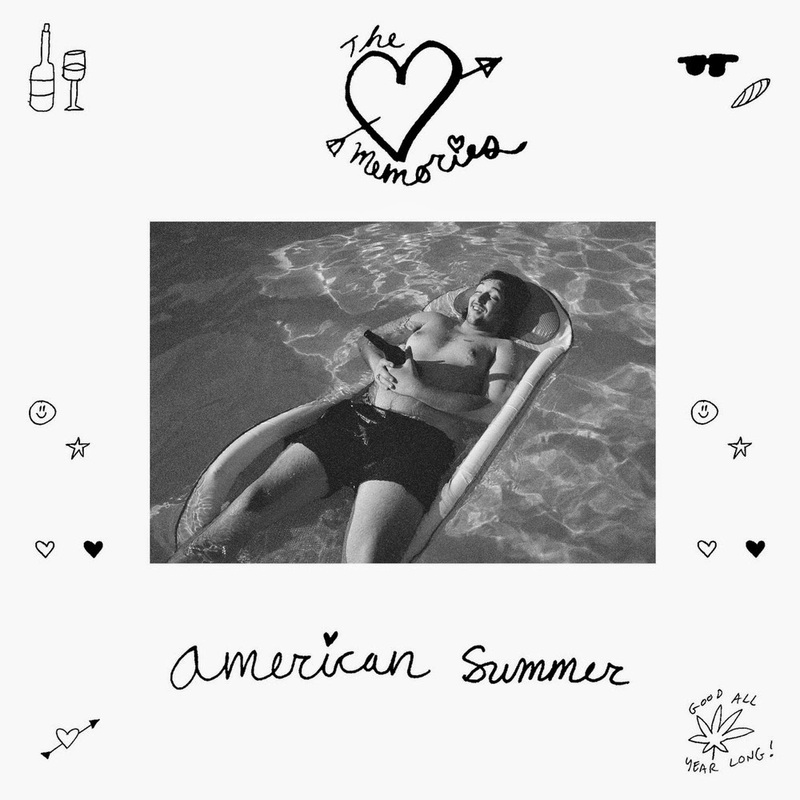 On this laid back jam, “American Summer" they can't even be bothered to hit that snare with real effort, the sunglasses are on and shirts off. The chorus is noodle filled guitars and this has me reaching for Nodzzz, the band mind you, and their cut off jeans in the kiddie swimming pool diving into the six inches of sonic glue. This is that scene in the coming of age movie where the lead jumps off the diving board and drifts to the bottom of the pool in slow motion. That sad and beautiful pause. The rhythm takes a turn at the end but its nothing you can't handle. "Creamsicle" has a scuzzy bass line and those vocals get smeared across the top like a knife full of junkyard-fi. Sounds like an Ariel Pink rhythm with a Real Estate vibe, the best kind of home recorded stuff, goofy but in that intimate place - like a creamsicle which is DEFINITELY a metaphor they make no secret about that. "Dream About You" could be a lost Art Museums track, the heavy, cheap and off rhythm gated snare with a sitar stringed instrument singing about a party in LA. Just like those guys to make this somber light pop about something mundane and do it with the craziest flying colors. This kind of pop that doesn't try and ends up the absolute best stuff. Literally the audio equivalent of a inflatable easy chair with a cup holder full of booze. On B-Side’s "High You Can't Buy" the jangle has some Natural Child leanings and they get right into handclaps and heavy reverb in that glamy garage way. A Little bit of synth or they warped these guitars right into the '80s along with this warbly solo. This must be their experimental side. Cheap Time covering the Drive soundtrack. "Natural Beauty" has an acoustic? They can officially do anything. Such a wussy song, their high falsetto and tapped percussion won't wake the neighbors. Matthew Melton should talk to these guys about opening for him. It’s all here, weird experimental recording process and sick tight pop garage stuff about the dumbest things that will make everyone jealous. “Wake and Bake (at Wakefield's)" sounds like a great coffee shop. The reverb clicks hitting the pickups and shiny glittering metallic acoustic strings. How can they get up early enough? A '50s burnout sock hop track, I love that combination with the whispering "don't you wanna wanna?” It's one thing to sound apathetic and young, but this is sincere as hell and killing it. They have to be old enough to know better. It's all pizza and video games but if you don’t do it like you mean it - we'll find out. Get it from Randy Records.